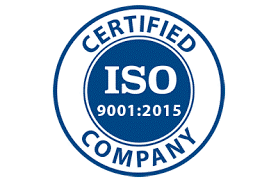 Genk, March 2019 — ROARTIS , a developer and manufacturer of adhesives, resins and coatings for electronic and industrial applications, announces that they have been certified under ISO 9001:2015 as of December 21st 2018. The company previously earned certification under ISO 9001:2008 in 2015 and has been audited and registered annually by Lloyd’s Register. International Organization for Standardization (ISO) 9001:2015 is the most updated standard of its kind and focuses on quality management systems and performance. It assists companies in developing a management system that aligns quality with their wider business strategy. There is a strong focus on risk-based thinking and accountability in all organizational processes that helps improve communications, efficiency, and implementation of continuous improvement. The certification covers a variety of business processes, including management, purchasing, product development, order processing and fulfillment, quality management, manufacturing and inspection, as well as warehousing and shipping. For any company, the road to certification requires time and commitment. Roartis began their internal preparation for certification in March of 2017, by evaluating their existing procedures and aligning them with the new requirements. Since their documentation and procedures were already well established and compliant with ISO 9001:2008, they only needed to make minor changes to their quality manual and overall processes and procedures to meet the new standards. Through this certification Roartis proves its ability and desire to effectively and efficiently provide a quality management system, while its products, services and its internal processes continuously improve. ROARTIS, based in Genk, Belgium, develops and produces a wide range of adhesives, resins and coating for electronic and industrial applications. For more information on ROARTIS and its product portfolio, please consult www.iq-bond.com. To obtain a copy of our ISO-certificate, please contact us at quality@roartis.com.